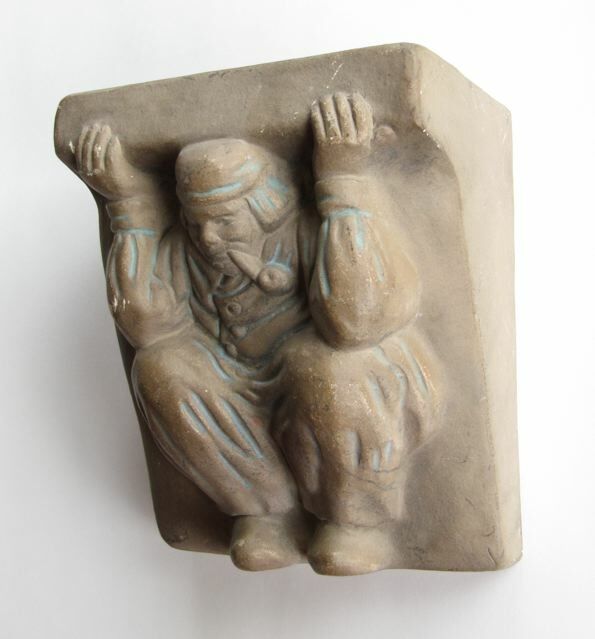 When I was a kid growing up in Los Angeles my dad brought home two of these tile corbels he found in the attic of a vacant house he was working on. They were put away somewhere and I rediscovered them years later when we were moving out of the old family home. It was when I noticed the name Batchelder stamped in the back that I realized that they might have a little more history and worth than I originally thought. I wanted to do something with them but didn’t want to destroy their value if they were of some significance. I tried researching online but could not find any images or information about the tile. Last year when I was participating in the Arts & Crafts Bungalow Weekend in Pasadena I met Cha-Rei Tang of Pasadena Craftsman Tile. 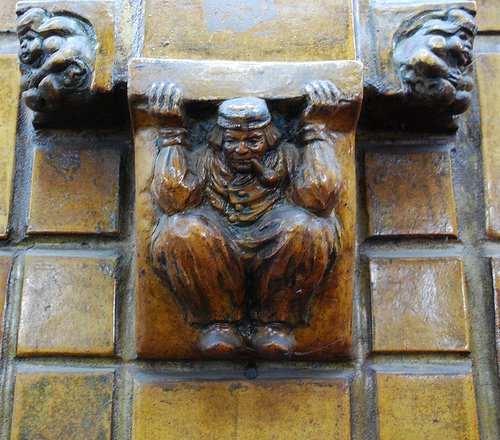 She had a number of tiles made from casts of original Batchelder tiles so I asked her if she’d be interested in my dutch boy corbel. She said she was so I sent her the corbel and she documented the process of casting molds from them here in her blog. A few months later she sent me a box with four of the little dutch boy clones. 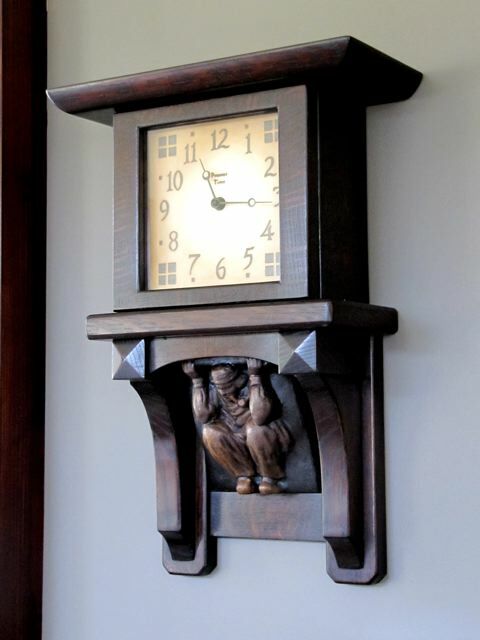 I got the idea to design a clock/shelf utilizing the corbel since I could now have an unlimited supply of them. I wanted to have it completed in time for this year’s show in Pasadena and this is what I came up with. It seemed to ask for a deep dark brown finish and I put a darker stain on the tile to make it recede into the dark under the shelf. 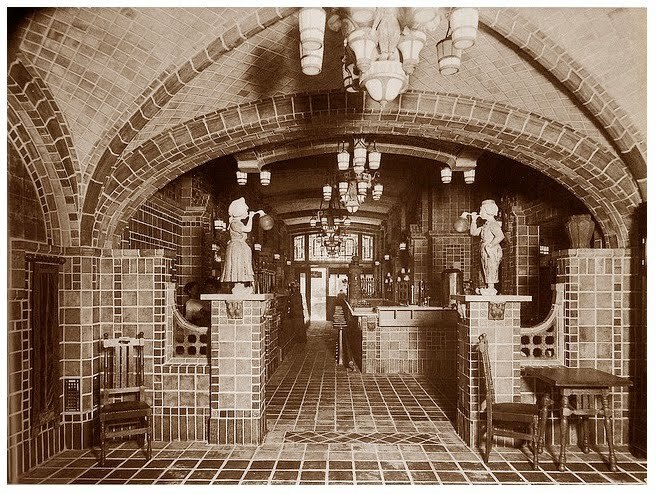 While it was hanging on the wall at the show a woman came up to me and said she recognized the tile from the Dutch Chocolate Shoppe in downtown Los Angeles. 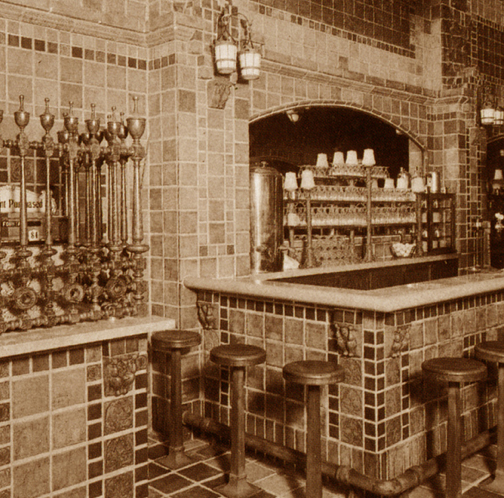 With that lead I was able to find a wealth of information about the chocolate shop and the wealth of Batchelder tile still in existence, located at 217 West Sixth Street Downtown Los Angeles. 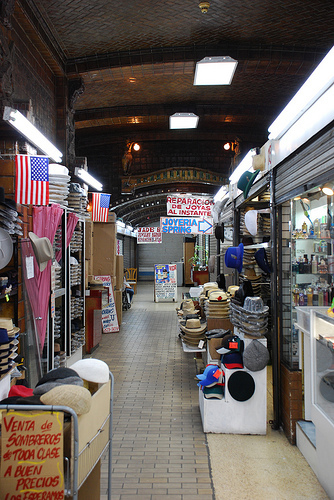 Sadly it is is no longer the charming chocolate shop of it’s heyday but a bustling mercado. I wish I had had this information before leaving Pasadena to be able to see it firsthand before returning home. Perhaps next year I’ll check it out and maybe buy a cowboy hat, or in my dreams, some dark dutch chocolate. This entry was posted on Saturday, October 22nd, 2011 at 7:00 pm	and is filed under Uncategorized. You can follow any responses to this entry through the RSS 2.0 feed. You can leave a response, or trackback from your own site.